BEVERLY – Harold J. 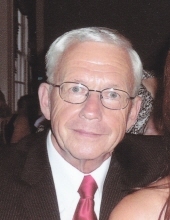 “Harry” Currier, 72, died November 3, 2018 at his home following an extended illness. He was the beloved husband of Brenda (Rogers) Currier. Born in Salem on January 4, 1946, he was the son of the Harold J. and Rose (Gorski) Currier. He was a graduate of Salem Vocational High School and had resided in Salem for many years before moving to Beverly in 1975. A. U.S. Navy veteran of the Vietnam War, he served aboard the USS Recovery before being honorably discharged in 1967. Harry was employed as a master electrician at the Salem Power Plant for thirty-eight years before retiring as an electrical foreman in 2006. He enjoyed fishing, and lobstering, going to gym and especially loved to travel. Regina Rakoc of Danvers and several nieces, nephews, cousins, and friends. He was also predeceased by his father-in-law, Charles Rogers and brother-in-law, Thomas Rogers. The family would like to express special thanks to the many caretakers and medical personnel who have helped over his illness. His funeral service will be held on Saturday November 10, 2018 in the Campbell Funeral Home, 525 Cabot St., Beverly at 5p.m. Visitation will be held prior to the service from 3 to 5p.m. In lieu of flowers, contributions may be made in his memory to St. Jude Children’s Research Hospital, 501 St. Jude Place, Memphis, TN 38105 or to Lahey Clinic Hospital, c/o Brain Tumor Clinic, (lahey.org/braintumor) 41 Mall Rd., Burlington, MA 01805. Information, directions and condolences at www.campbellfuneral.com. To send flowers or a remembrance gift to the family of Harold James Currier, please visit our Tribute Store. "Email Address" would like to share the life celebration of Harold James Currier. Click on the "link" to go to share a favorite memory or leave a condolence message for the family.